AUXLAMS A (June) and AUXLAMS B (July) in Miami, FL were added to the course offerings below on 7 March 2012. 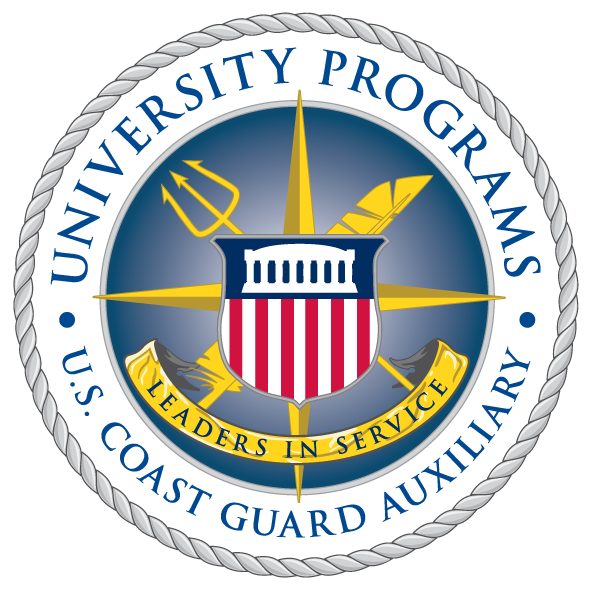 Students may now apply for the Coast Guard Auxiliary Leadership and Management School (AUXLAMS), scheduled to be held in a variety of locations around the country. The course is based on the Leadership Competencies, which lay the foundation for all leadership skills necessary to successful leadership in the Coast Guard and the Auxiliary. This is a facilitated and interactive course dealing with Self Awareness, Motivation, Strategic Leadership, Team Building, Ethics, Conflict Management and Performance Problem Solving. AUXLAMS is the foundation course of the Auxiliary Leadership Continuum. The course is divided into two parts (AUXLAMS-A and AUXLAMS-B), with each being taught in 2 ½ day sessions at district locations arranged by the respective districts. Auxiliary personnel currently active in any leadership position, including those enrolled in Auxiliary University Programs (AUP), are eligible for and encouraged to take this course. AUXLAMS is similar in content and purpose to the LAMS course taught to active duty Coast Guardsman, but is designed to be taught in two parts and to specifically address the unique challenges of leading volunteers. The video below offers an overview of the LAMS experience. The following course dates are scheduled with seats for funded travel available. Prospective students wishing to apply must submit a Short Term Training Request (STTR) form via the chain of leadership (COL) to their Flotilla Commander, who must endorse and submit the STTR to your DIRAUX for entry into Direct Access. These classes fill quickly, so time is of the essence. There were only 5 remaining Sarasota, FL seats available as of 13 Feb 2012. *Classes with an asterisk are scheduled without travel funds, so students (especially those near the location) may apply for a seat and travel at own expense. If interested, contact the class POC directly about getting a seat; you may be required to submit an STTR for no cost District generated orders. There are some non-funded seats available in all of the all of above classes if you do not get a funded seat. If interested in a non-funded seat and willing to travel at own expense, contact the class POC directly about getting a seat, you may be required to submit an STTR for no cost District generated orders to attend. Some of the classes above have contracted hotels or government billeting arranged. Contact the class POC directly to find out about deadlines to get the special hotel contracted pricing or to make reservations for government billeting. It is imperative that prospective students apply immediately for seats in AUXLAMS using the process outlined above; funded seats (called AFC-56 quota) are filling up quickly as of 7 March 2012. Updated availability is listed below.